the fabulous Sacramento from Mis Papelicos. She is one of the most generous, supportive and positive bloggers anywhere. why not join her animal link party! That coat!! What can you tell us about it. Is it new? Vintage? I would love to have one exactly like it. Looking gorgeous and glamorous as always, my friend. Adrienne thanks for asking! 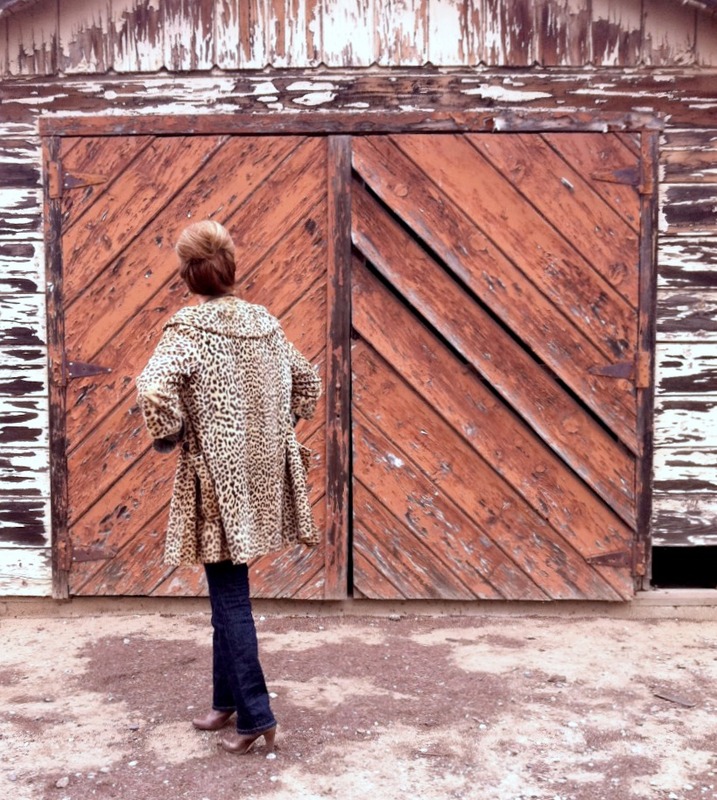 The coat is definitely vintage... one of my favorite finds.. from Ruby Rose in San Luis Obispo! i can't wait to be able to pull it out and wear it again! That is such a lovely little town. That second picture is one of my favorites of yours, Tamera. This look is awesome! Now I want a leopard coat!! Thank you Pam! It is a great coat that can add panche to a variety of looks! THANK YOU, MY DEAREST TAMERA FOR JOINING US WITH YOUR BEAUTY AND STYLE. Dear Sacramento...the pleasure is all mine! Such stunning earrings, I wish I could wear my hair up but my jawline has given up the ghost. Gorgeous! That coat is to die for. I love the way you style your hair....could you instruct me on how you put it up? Is it easy? Thank you! Adore your coat and the entire look. It is so flattering on you! I love the coat and love the way you've styled it, but Wow! what a brilliant backdrop -- These great photos make me very aware that I should step up my WIW posts. . .
Tamera, you run more than time. You long for the cold? I like your look, your coat and your style. Sacramento is a very special person, right? Wonderful coat! 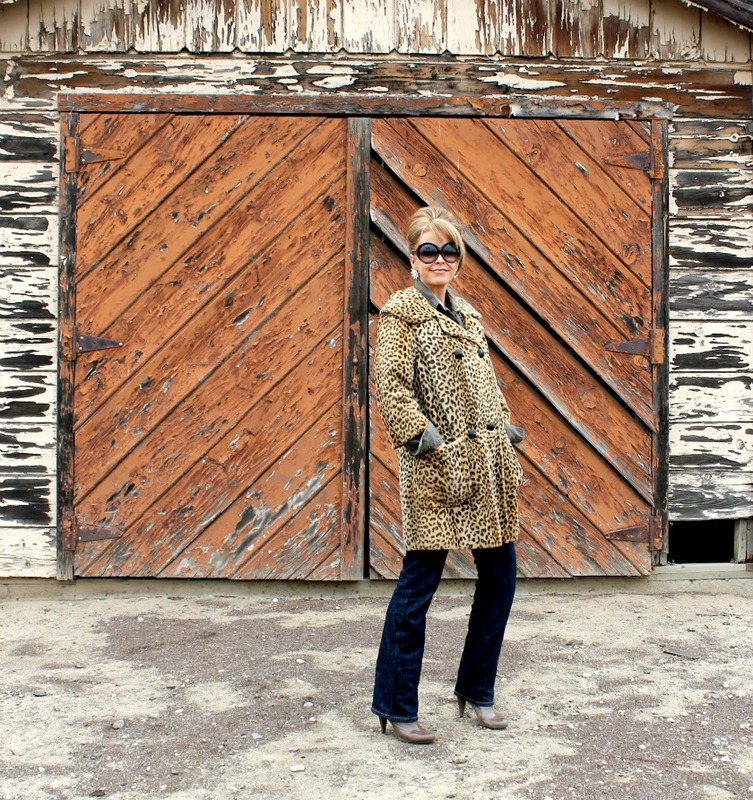 In fact you are wearing the leopard coat of my dreams! A bit swingy in cut, not too long in the body, a bracelet sleeve and a generous shawl colour - beautiful! I am getting ready for some fall fashions and comfy wear myself Tamera. If I can't be floating in the pool I want a little chill in the air. You look gorgeous in this outfit. That hair-would love to hear how you create that look. I adore that leopard coat, it looks so warm and so beautiful! Love your sophisticated hair do too Tamera. Hello Tamera! I'm Glenda of So What to Twenty! I just found your blog on Visible Monday. You have amazing style. 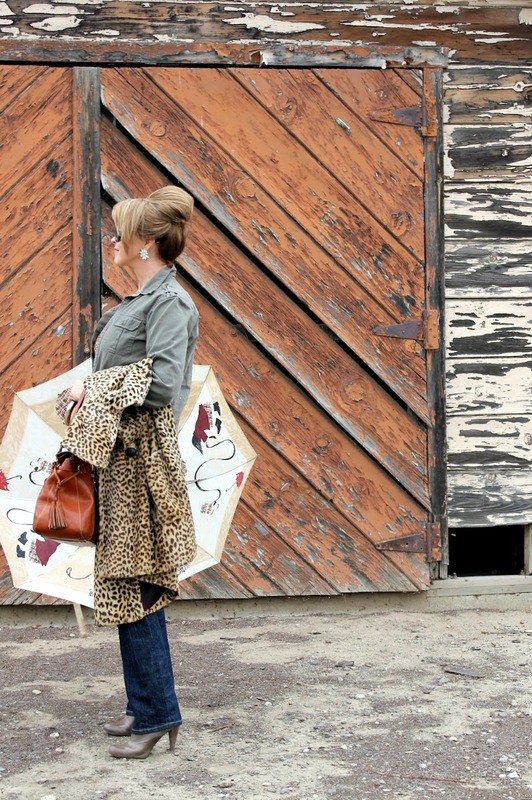 I would like to be the first to say that you make me want to shop for a leopard coat. I look forward to seeing more of your amazing taste in fashion. Wonderful attire, magic photos and wonderful always you, dear Tamera.